Howdy! 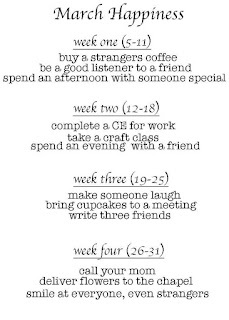 I completely forgot to share this months happiness challenge with everyone, my apologies! I create a monthly happiness challenge to help me stay focused on staying positive. It is too easy to stay mad, sad, upset, or frustrated with difficult dilemmas in our lives. And, I just don't want to spend any more of my time or energy on this negative behavior. I can change my focus by running, baking, or crafting. 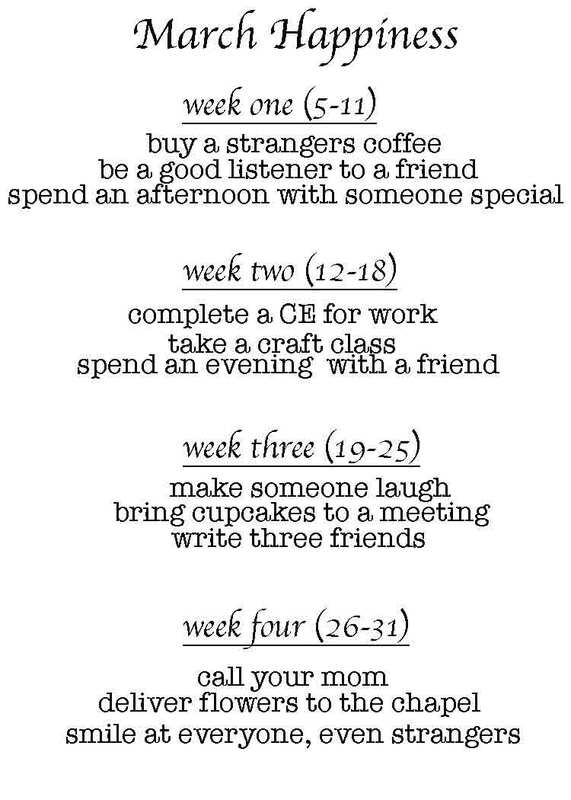 These activities are the easiest for me. But they aren't the most practical. So, I need some different activities. For me, the easiest way to create happiness, is to do something that causes someone else to find happiness (aka: smile, laugh, or simply feel happy/blessed)! So, here is this month's challenge.